Appropriations and Financial Affairs Committee members hard at work in May. After Governor LePage on May 24 publicly vetoed LD 1546, which had provisions for expanding Medicaid, refinancing the liquor contract and paying the last payment on the hospital debt (that the Democrats have been paying down since 2006 under former Governor John Baldacci), it was back to square one for the three issues. 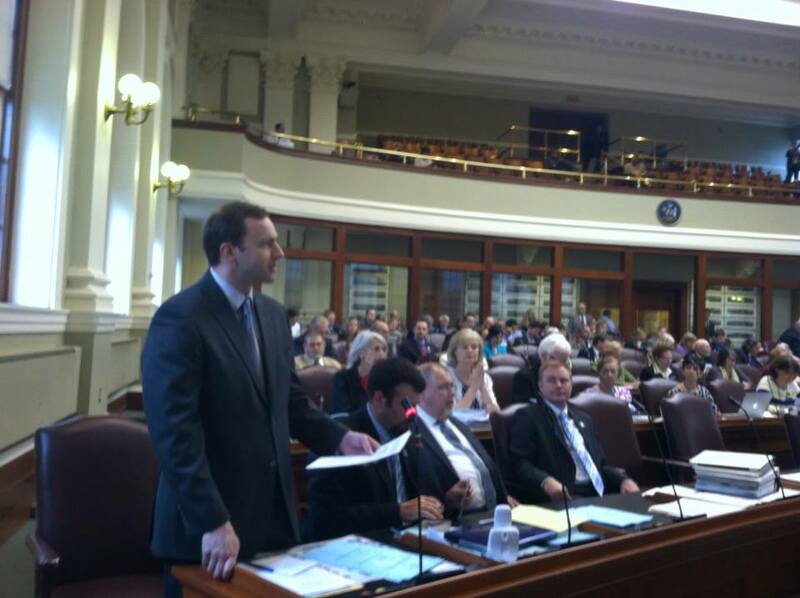 The first, LD 1066 “An Act To Increase Access to Health Coverage and Qualify Maine for Federal Funding” has now passed the Senate as amended and is working its way to the House, with expectations that it will be debated later this week- if not tomorrow. 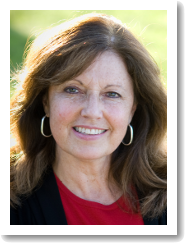 That left the hospital debt and the liquor contract, in the form of Governor LePage’s bill LD 1555 “An Act To Strengthen Maine’s Hospitals and To Provide for a New Spirits Contract” as its own stand alone bill (it was referred to Appropriations and Financial Affairs committee on May 31). Since then, the Governor has been impatiently tapping his toe, waiting and waiting and WAITING in frustration for his bill to come up for a vote in the Legislature. 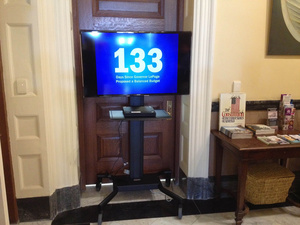 To alleviate his boredom, LePage even went to Best Buy and got himself a new entertainment center on the taxpayers. The day after the bill was referred to AFA, the Governor in his weekly radio address demanded that Democrats “stop their deceitful gamesmanship”. 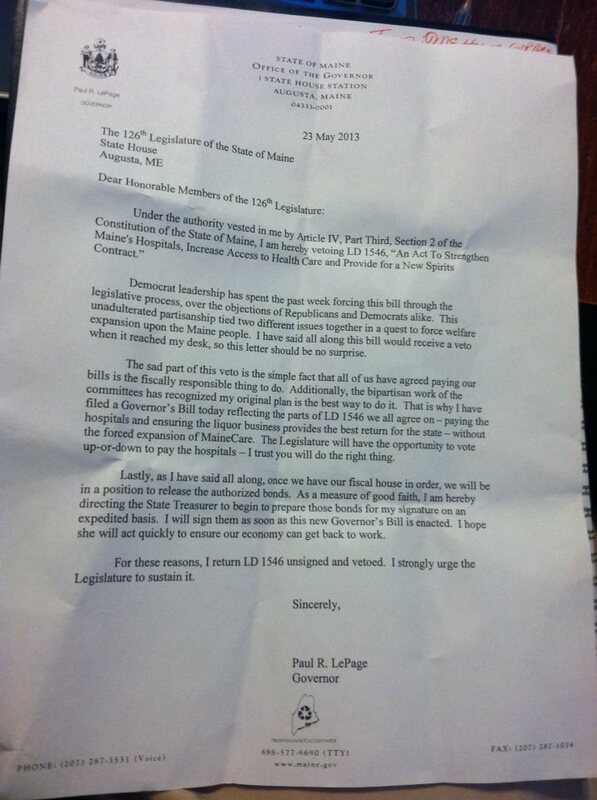 It needs to be noted that this statement by LePage was released to media on the same day as the committee was assigned the bill, with the Governor’s address embargoed until the following day, Saturday June 1- when the Legislature was not in session. 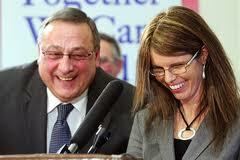 Governor Paul R. LePage today reminded Mainers that the hospitals still haven’t been paid. House Republican leaders Tuesday joined Governor LePage calling on Democratic leadership to bring forward the bipartisan measure to pay off Maine’s hospital bills without delay. 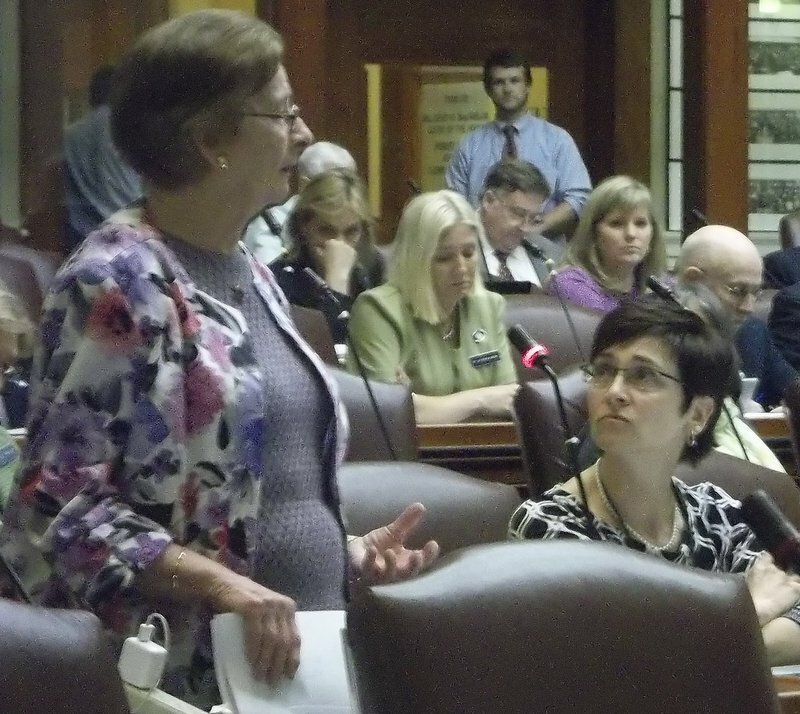 Lawmakers on the State Legislature’s Appropriations and Financial Affairs Committee on Tuesday afternoon unanimously approved a measure to make a final payment on Maine’s hospital debt and refinance the state’s liquor contract. The bill is the second measure passed this session to make a final payment on Maine’s hospital debt. 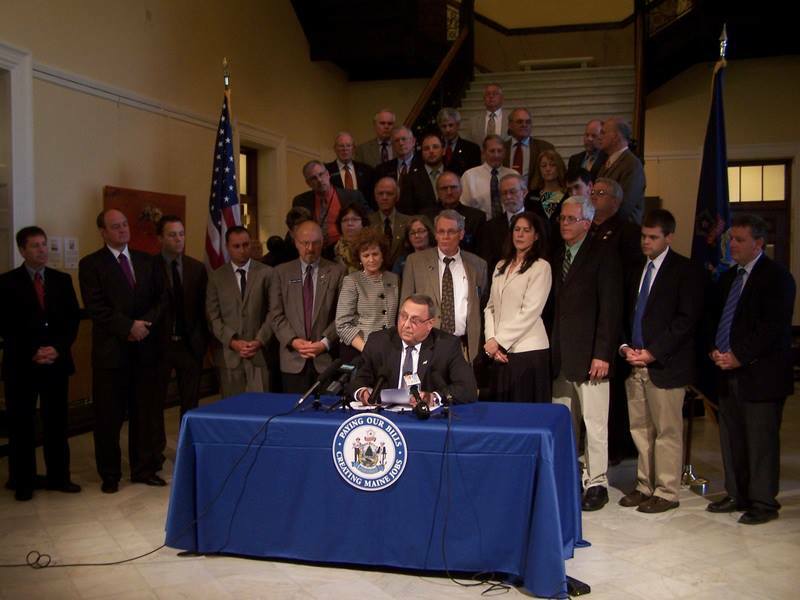 Governor Paul LePage vetoed the first, LD 1546, last month. This bill makes the final payment to Maine hospitals totaling $485 million in state and federal dollars. 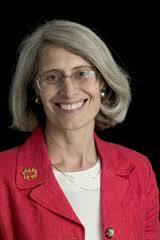 By paying the hospitals prior to October 1, 2013, the state will save $5 million. The payment would trigger a federal match of $298 million, completing final payment to Maine’s hospitals. One wonders how the Governor will react to getting his way… as well as the Republicans that supposedly continue to support him. Will we see a continuation of “Chain of Fools” or will someone from his party finally get through about the value of “R-E-S-P-E-C-T”? This floor speech (VIDEO) by Rep. Helen Rankin was not prepared in advance, but rather delivered from the heart from some notes, during Tuesday evening’s debate on LD 1546, “An Act To Strengthen Maine’s Hospitals, Increase Access to Health Care and Provide for a New Spirits Contract”. In her address to her colleagues, Rankin speaks of being a child of the Depression, of losing her older sister at a young age due to the family’s inability to receive health care, of her mother working three jobs to provide for the family, of her own long life of good health and unexpected quadruple bypass this past year. She spoke of the wonderful life-saving treatment she received, due to being able to access health care, and concerns for those who do not have the same ability to access it as she and the House members can. I rise in strong opposition of the pending measure. 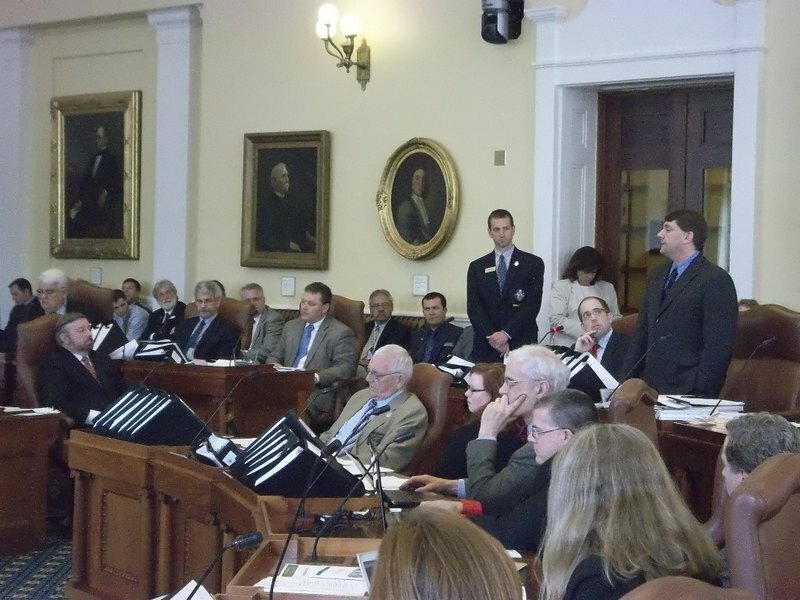 Some may feel that combining bills from different committees is an efficient way to move forward, but the People of Maine are ill-served by considering legislation without input from the public. We were told that a public hearing was held. But I checked online, and found that no public hearings were scheduled. Before casting votes, most of us listen to testimony, read and research the issue, and consider the views of our constituents. I do not like being asked to pass bills first before I find out what is in them. LD 1546, the bill before us, did not follow the usual path of thoughtful consideration. The process of working this bill has been violated at its most basic level…two bills combined into one that did not receive any input from the public. As a matter of fact, there is not one piece of public testimony posted for this particular bill. Not one. There are, however, 69 documents of public testimony on the Medicaid expansion bill. But the Health and Human Services Committee is the only committee to have heard from the public regarding the expansion of Medicaid. I am very uncomfortable knowing that the sitting members of the Veterans and Legal Affairs committee, the committee of jurisdiction for this bill, have not had the opportunity to seek public input on this very important portion of LD 1546. Mr Speaker… How can we vote to move this bill forward when the process has been violated in this manner? Ramming a bill through a committee where the members did not have the opportunity to even read about the details, and where they did not hear even ONE minute of public testimony, is wrong. This violation of the process at the committee level is unacceptable. Regarding other reasons to vote No on this bill, let’s start with fiscal irresponsibility. Negotiating the liquor contract is time sensitive. If we miss the deadline, it will cost Maine’s hardworking taxpayers an additional $5 million. The clock is ticking. If we had paid our hospitals as the debt accrued, we would have been able to take advantage of a higher federal dollar match rate. My back-of-the- napkin calculations show that this delay has already cost us tens of millions of dollars. Thus, if we miss this deadline, that number bumps an additional $5 million. Let me repeat – tens of million dollars. Money that we could have spent towards services for … perhaps… disabled individuals who have been placed on waitlists. Mr. Speaker you are correct this is a moral and ethical issue. Mr. Speaker, I implore this body to recognize that the expansion of Medicaid is a separate bill with a separate timeline. 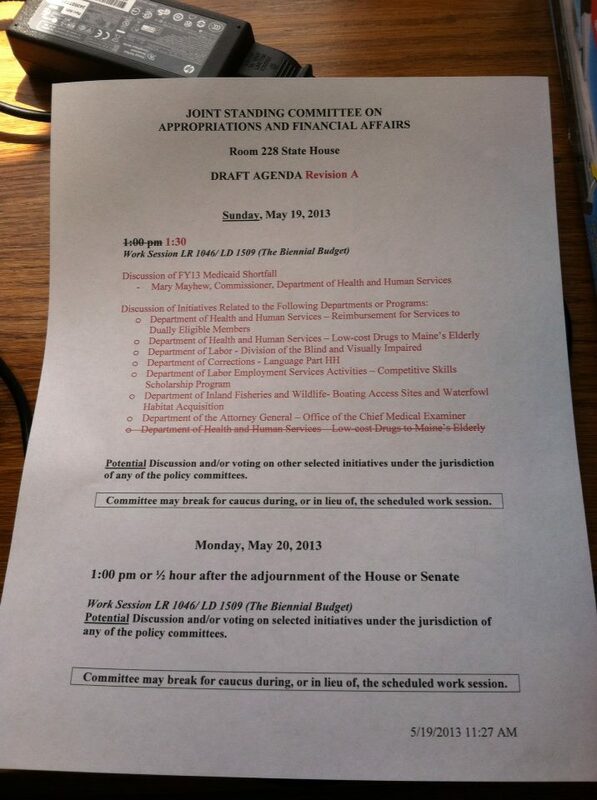 Currently, that bill sits on the table in my committee- the Health and Human Services committee. The expansion should not be rushed. As a matter of fact, it is in Maine’s best interests to take our time, because rushing the expansion, may in fact, cost us more money, potentially, a lot more money. An audit is currently underway and is expected to be complete within a month. We do not have firm promises from the federal commission of health and human services yet. I urge each member of this body to think carefully before voting today. Please recognize that LD 1546 should go back to its roots. We need to bifurcate LD 1546. These are two separate bills, the one that was assigned to the Veterans and Legal Affairs Committee and the other bill to consider expanding Medicaid, which still sits on the table over in the Health and Human Services committee, where it rightfully belongs. For these reasons I cannot support LD 1546. We need to pay our hospitals now. We need to take our time negotiating with the federal government on further expansion of Medicaid. Mr. Speaker, Ladies and gentleman of the House, I rise in opposition to the pending motion. As a member of the Joint Standing Committee on Health and Human Services, I would love to see that everyone in Maine with an Income below 138% of the Federal Poverty Level has true health insurance. It would likely save money for our health care providers and would hopefully improve health care outcomes. Who could not vote for that? Unfortunately that is NOT what we are voting on. The Medicaid Expansion under the Affordable Care Act is neither Health Insurance nor is it fiscally responsible for the state of Maine. Medicaid and our healthcare delivery system are clearly broken. And more of the same won’t fix it. Expanding Medicaid is the wrong prescription for a broken system and a faulty diagnosis invariably leads to the wrong treatment. Medicaid needs to be reformed prior to any expansion. We need to design a system that aligns consumer actions with societal goals while decreasing costs……… increasing access ……..and promoting quality. The bill before us will increase access at the expense of increasing costs and will do nothing to promote overall quality. I would gladly vote to reform Medicaid, a program designed in 1965 and rife with perverse incentives both for the consumers and the providers! I just can’t see how burdening the people of the state of Maine with hundreds of Millions of dollars of ongoing and future expenses for a program with no demonstrated efficacy in terms of health care outcomes is going to help anyone. At its very heart Medicaid encourages people to over consume and undervalue health care. With no copay or premium for health care in a system with unknown prices or information about quality is it any wonder that health care costs keep rising out of control? And isn’t that our real problem? Likewise Medicaid encourages providers to overbill for services. If patients are not paying for the health care services they receive, then they are unlikely to shop for quality and value. Consequently providers whether hospitals or doctors have no incentives to keep prices low in order to compete-as in any other market place- and hence the provider is incented to maximize their revenue and income based on the reimbursement model. Isn’t that why we owe our hospitals $484 Million for 2009 and 2010? And why is is that this bill requests $490.2 Million dollars when we owe the hospitals $484 Million? Is it the intent of the sponsors to repay the debt after October 1, thereby receiving $5 million less in FMAP match? Is that not irresponsible? The previous Medicaid expansions in which eligibility had been increased and optional services added currently costs the state of Maine $177 Million annually in General Fund dollars. Those who urged the past expansion of Medicaid promised it would reduce the number of the uninsured, reduce charity care, lower ER usage and have low and predictable costs. In reality health care costs have grown 4 times the rate of inflation, enrollment has exploded, there has been a gigantic increase in charity care and programs are now “capped” as the state has no money to pay for those seeking services. The state has even started to tax hospitals and nursing homes in pursuit of those federal dollars. I find that incredibly shameful. I support paying our hospitals that which we owe them. The state made a deal and the hospitals have lived up to their end of that bargain. I would support a true health insurance program for our low income population, but insurance is something you buy in a competitive market place where prices are known and competition is real and buyers shop based on value and price. I can’t support the poorly conceived expansion of Medicaid now being urged by so many. Expanding a financially failed program simply does not make sense. The hard working Maine taxpayers understand that we need to control spending. It is our job as legislators to prioritize our spending needs. What about all those people we currently have on waitlists for services who legally and morally deserve those services? The expansion will not address their needs. I am embarrassed by our inability to take care of the truly needy. Prioritizing spending during tough economic times requires leadership. For too long we have taken the easy way out by saying yes to more and more federal dollars. This has resulted in a never ending cycle of growing waitlists for our disabled population, increased pressure to repeatedly raise taxes, ongoing and annual supplemental budgets and crowding out of the true investments the state should be making. It is time to say no.